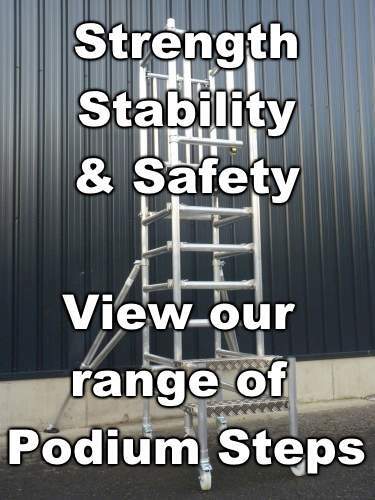 Our 8 Rung Industrial Scaffold Tower is the best on the market. 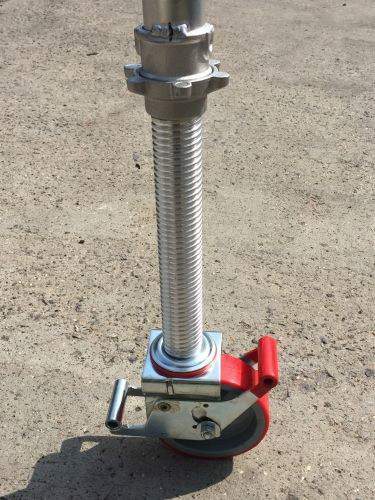 It uses the Through The Trapdoor ("3T") method of erection and dismantling and components that are fully compliant with the very latest BSEN 1004 British Standard. Importantly, the tower is manufactured in the UK by an ISO9001 licensed company and the quality of our product just can't be beaten. 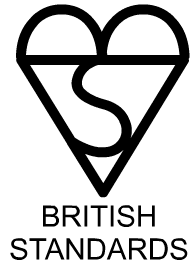 "3T" is one of the two methods of scaffold tower erection and dismantling recommended by the Prefabricated Access Suppliers and Manufacturers Association (PASMA) as well as the UK Health & Safety Executive. The other recommended method is Advanced Guard Rail (AGR), which we also offer. The major difference between the standard "3T" and "8 Rung" towers is in the construction of the end frames - the standard "3T" tower uses horizontal rungs that are 500mm apart and incorporates a ladder with rung spacing of 250mm at one end. 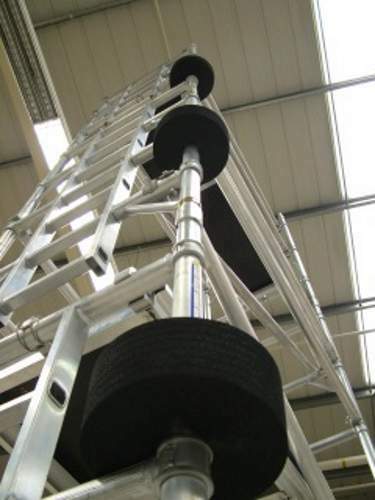 The "8 Rung" tower has rung spacing of 250mm and can therefore be climbed at either end. You also have the option to set platforms in 250mm increments giving greater flexibility. All of our Industrial quality scaffold towers are manufactured using robotic welding and laser cut tubing, giving superb consistency and quality of the product. Put simply - the best 8 Rung tower on the market! 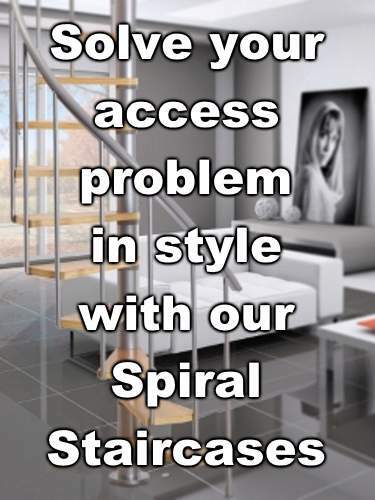 Please feel free to contact us if you require advice on which tower will best suit your needs, we understand this is a major purchase and one that you will want to get right first time. Inclusive of free next day delivery on top of an unbeatable price - beware of "hidden" delivery charges or slow 2,3,4 or even 5 day delivery times! FREE NO QUIBBLE LIFETIME GUARANTEE! Manufactured in the UK by an ISO 9001 licensed company - in our opinion the only way to guarantee a consistently top quality product. Conforms to the very latest BSI (British Standards Institute) in respect of EN1004, for your peace of mind. Put simply, the best 8 Rung Tower money can buy. Non ISO 9001 manufacturers do not have the same quality standards as us. Please be aware, just because a retailer presents the British flag on their web site does not necessarily mean the tower is manufactured in the UK! Top value choice in 8 Rung Towers. 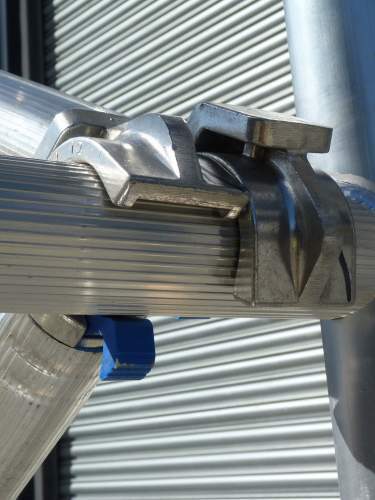 We always use the best components available and add value where we can - for example the wrap around frame clips ensure they are easy to attach and won’t get lost. One piece toe board means it is easier to transport and set up. Bare minimum/inferior components offered to keep prices down. No toe board supplied or supplied in multiple pieces. Locking pins will get lost - and you can't work without them. We are the UK Tower Experts having sold many thousands over the past 15 years. Massive stocks always available for next day delivery all backed up by our knowledgeable sales teams and celebrated after sales service. Check out the superb customer reviews received through the independent agency FEEFO. We are open 7 days a week (weekdays until 9pm in the evening) to provide product advice and take your orders. We also trade though multiple channels and you can make a purchase 24/7 through our web site. Limited product knowledge provided by some competitors who you can only contact during their limited opening hours on weekdays. Some companies even "invent" their own reviews or are not confident enough to join the sort of independent scheme that we subscribe to. Out of date customer reviews by some, or none at all! Our 8 Rung Tower is manufactured in the UK by an ISO 9001 licensed company and fully conforms with EN1004 (European Safety Standard). The towers fully comply with all HSE (Health & Safety Executive) policies, including the "3T" method of erecting and dismantling. We are PASMA (Prefabricated Access Suppliers and Manufacturers Association) members and keep up to date with current legislation. Tower manufactured from top quality certified aluminium, sourced in the UK. Towers not tested to current UK requirements - or are manufactured by disreputable companies. Some retailers are not even PASMA members. We are confident that our prices are the best available. They include FREE next day delivery to the UK Mainland (a small charge may be made on deliveries to the Scottish Highlands and UK Islands). We buy in bulk! - and in doing so can command the very best prices which we are able to pass on to our customers. Put simply - we will not be beaten on price! Some companies charge extra for delivery, but you will not be made aware of this until the last minute. Next day delivery available but appears to be variable from what we are told and chargeable as an "extra". Forever Guaranteed - we offer a no quibble LIFETIME GUARANTEE on our products - in the unlikely event that problems are experienced we will either repair or replace the affected part. We are a UK based and owned company who have been trading for many years so this peace of mind is definitely worth having. 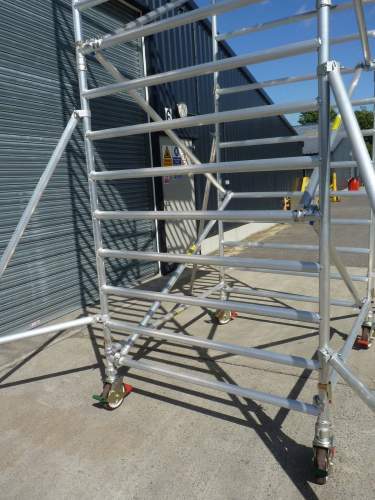 As our One Man Scaffold Towers are manufactured in the UK, spare parts are readily available. Not lifetime guarantee or offered by a non UK company who have been trading here for a relatively short period - probably not worth much in the event of a problem. You may also have to wait some time for any replacement parts to be shipped from China. Comprehensive and written in a way that is easy to understand. Supplied in written form with the tower but can also be downloaded from our website. Our celebrated aftersales team are also available to answer any questions you may have. Poorly written or none supplied at all/only supplied in written form which can become lost or damaged. No manual will mean no work on building sites! Towers supplied in component format with an easy to understand "tick list" so you can ensure that you have all necessary parts before construction. Frame rungs set only 250mm, giving you greater flexibility in platform height. Variable documentation supplied with tower. 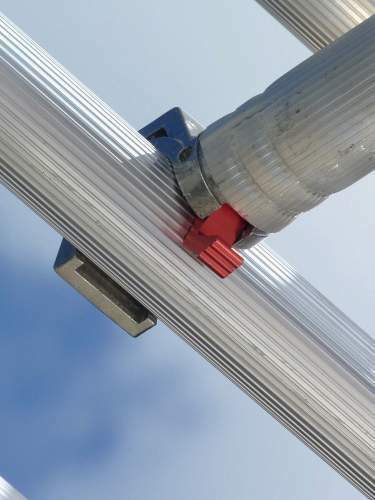 Rungs set further apart, giving you less flexibility but also not as comfortable to climb. 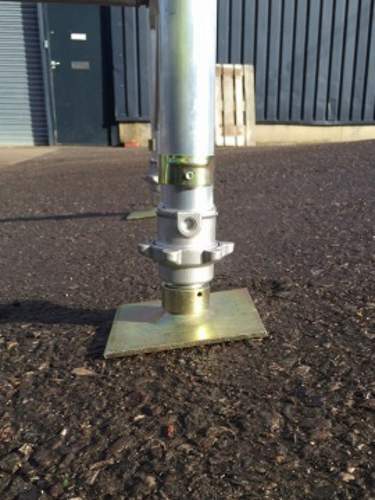 Our Base Plates are ideal for soft ground to spread the load or where the tower is in a fixed location for some time. Simply remove the wheels from the adjustable legs and attach the base plates in their place. 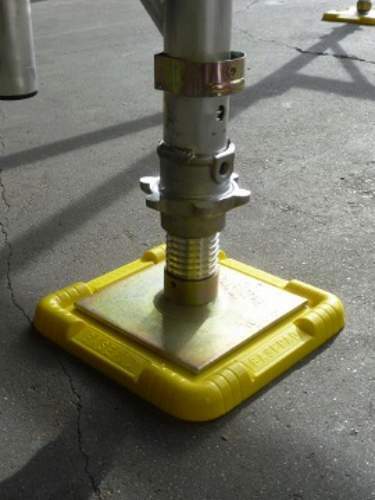 Our Tredda Plates are used underneath the base plates to provide extra protection for the surface they are being used on. They are load bearing and are extremely durable as they are manufactured from high impact plastic. Our Bumpers/Wall Protectors help protect walls, fixture and fittings from knocks and scrapes during construction & maintenance work. 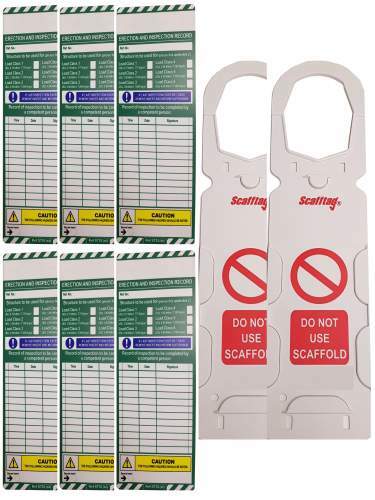 Our Scafftag sets are essential for towers used on site. Our Complete Company Set includes: 10 Holders, 20 Inserts and 1 Pen. 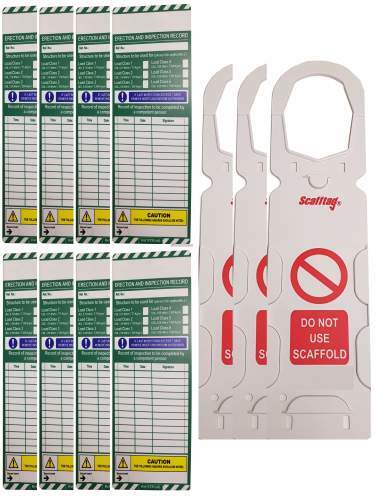 Our Scafftag sets are essential for towers used on site. Our Large Company Set includes: 5 Holders and 10 Inserts. 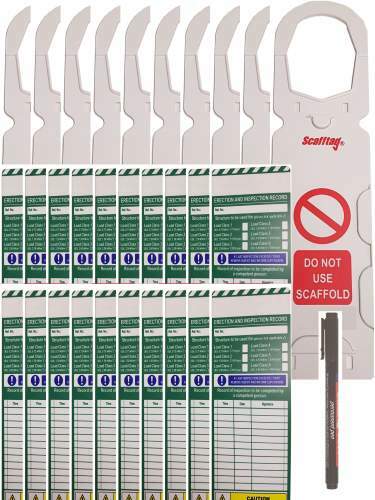 Our Scafftag sets are essential for towers used on site. Our Medium Company Set includes: 3 Holders and 8 Inserts. 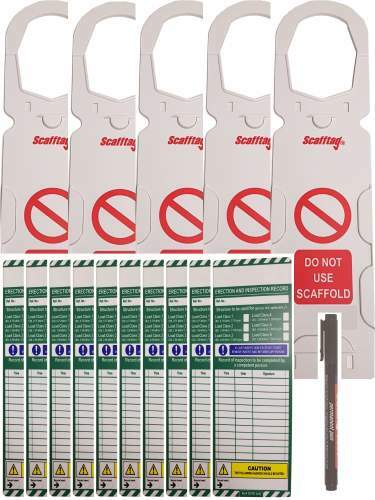 Our Scafftag sets are essential for towers used on site. Our Small Company Set includes: 2 Holders and 6 Inserts. 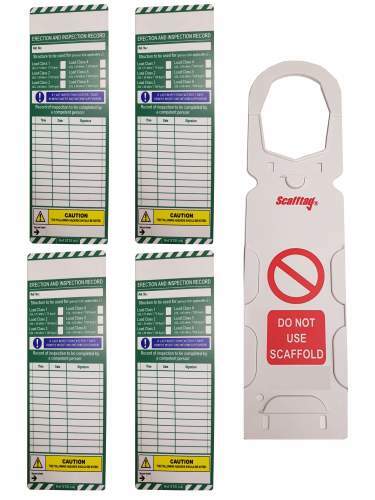 Our Scafftag sets are essential for towers used on site. Our Individual User Set includes: 1 Holder and 4 Inserts. Orders placed before 12.00pm Monday to Friday will be dispatched same day for next working day delivery to UK addresses. Orders placed after 12.00pm will be treated, for the purposes of delivery, as having been placed the next working day. Working days are defined as Monday – Friday (excluding bank and public holidays) – therefore any orders placed after 12.00pm on Friday will not be processed until Monday. Whilst we will give you our carriers tracking details, we regret that precise delivery times cannot be specified at the present time. Morning (including Saturday) deliveries (pre 12.30pm) are available under our premium delivery service and details of costs can be found in the checkout. Please note there are a small number of postcodes, usually in remote rural areas, to which we may not be able to deliver within the provided timescale. What is the difference between tower height and working height? The tower height is the distance from the floor to the top of the tower. The working height is an approximate height in which the user can reach. Can I use this tower on uneven ground? Yes you can. 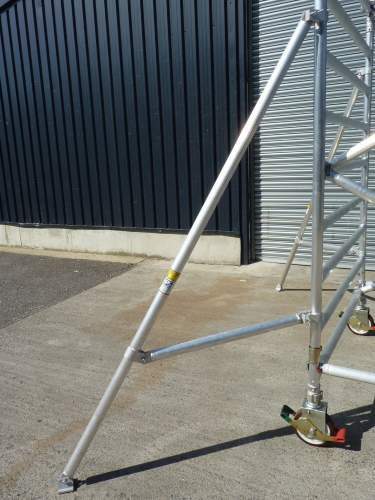 Our 8 Rung Scaffold Tower comes with height adjustable legs, offering an adjustment of up to 250mm on each wheel. Can this tower be used on a staircase? Unfortunately not. 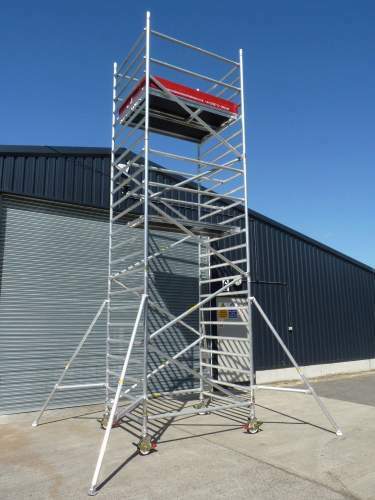 However, if you are looking for a tower that can, take a look at our Stairwell Scaffold Tower. I’ve lost a component of my tower. Can I purchase replacement parts? Yes you can. We keep a comprehensive range of spare parts in stock, which are readily available for next day delivery (if ordered before our cut off time). Can more than one person work on the platform? 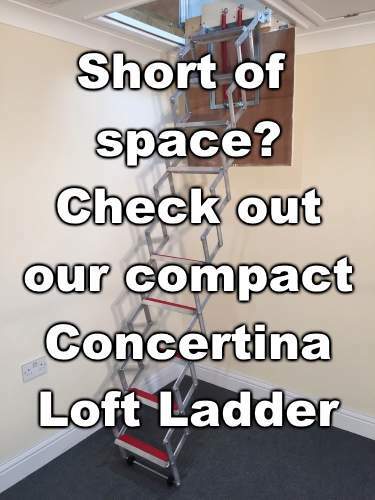 Each platform carries a maximum weight rating of 275kg, so as long as this isn’t exceeded it possible, however it may be quite tight for space. We recommend choosing one of our ‘Double Width’ models, which offers an increased working area. Can I extend the height of the tower at a later date? Yes. These towers can be extended to a maximum working height of 7.2m, simply give us a call and we’ll tell you what you need. 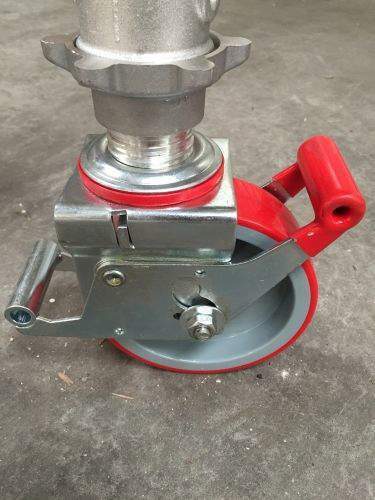 What is the diameter of the framework? The framework tube diameter is 50.8mm. How does this differ from your Industrial Scaffold Tower? The main difference is that the platform can be set at smaller increments (every 250mm as opposed to 500mm), offering greater flexibility. We check our competitors' prices daily to ensure you get the best deal. All prices include free delivery to the mainland UK - others hide delivery costs until the last moment. We Will Not Be Beaten On Price! Your safety first! We ensure all our products are independently tested in accordance with all relevant standards for your peace of mind, furthermore we offer a free no quibble lifetime guarantee. All of our friendly staff are trained to the highest standards and will be able to assist you with any query before you buy. We also have a celebrated after sales service for any help you may require after your purchase.